If you have you will know all the best reasons why you should visit this jewel of the Adriatic Sea, if you have not then read on to see my 5 Top Reasons to Visit Croatia. 1. Stunning Scenery The diversity of the Croatian landscape becomes apparent as soon as you enter the country. The Velebit mountain range runs the length of the Country from the Alps and on into Albania. The scantily forested limestone slopes create a stunning backdrop to the glistening, crystal blue waters of the Adriatic Sea. There are over 1000 islands in the Adriatic, some large and many small, but all are like expensive jewels adorning the coastline of Croatia to create one of the most beautiful seas in the world. Inland there are vast stretches of untouched forests with many towns and villages that have remained unchanged over the years. People live in touch with the land and surroundings and this is reflected in the regional food and wines that you can find nowhere else. 2. Striking Sea The Adriatic Sea is very unique being particularly clear with the fresh waters from the surrounding limestone karst Mountains flowing into it. In many places you can gaze to the bottom of the sea and watch the fish from the shore or on a boat. In the sun the sea sparkles as if sprinkled with diamonds and I have never seen such deep turquoise and emerald colours as I have in the Adriatic waters. George Bernard Shaw wrote of Croatia’s Islands “The God’s wanted to crown their labours, so on the last day they created the Kornati (Islands) from tears, the stars and the breath of the sea”. Swimming in such clear and beautiful water is idyllic for relaxation, snorkelling and a diver’s paradise. On very warm days you can enjoy the sight of dolphins playing; wonderful. 3.History Croatia has been a key tourist destination since Roman times and evidence of this and Croatia’s rich history can be seen at every turn of your trip. 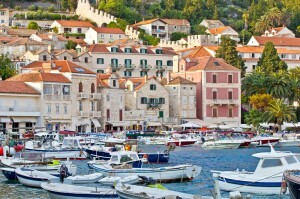 It many come as a surprise to many but there are 7 UNESCO sites in Croatia. These include the Plitivice lakes, the Roman emperor Diocletian retirement palace in Split and the whole towns of Dubrovnik and Trogir. Trogir is the best-preserved Romanesque-Gothic complex not only in the Adriatic, but in all of Central Europe. Pula boasts the only complete Roman amphitheatre outside of Italy and today the tradition of entertaining the masses continues not with gladiator flights but music concerts instead. For those who visit Hvar you will see the UNESCO site of The Stari Grad Plain. This agricultural landscape that was set up by the ancient Greek colonists in the 4th century BC and remains in use today. The ancient layout has been preserved by careful maintenance of the stone walls over 24 centuries with the skill being passed on to this day. As well as a whole host of villages that time seems to have forgotten along the coast. 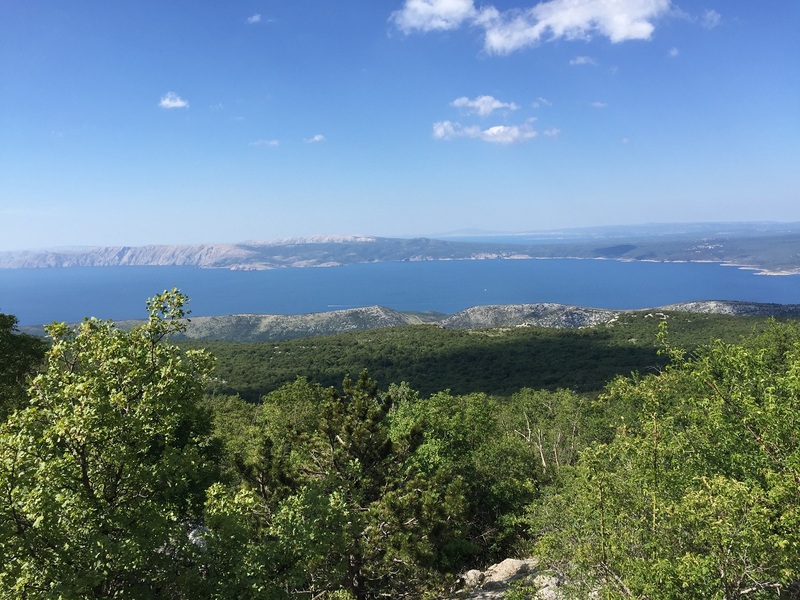 If you are driving the coast road then some of the must see places are: Solin, Sibenik, Zadar, Senj and on the Istrian Peninsula, Pula and Rovinj. 4. Fabulous Food We are used to seeing celebrity chefs touring the world showing us the delights of food and spices from many exotic locations and yet the regional dishes and local food in Croatia rivals the famous dishes of the European Countries that surround them. The famous Paski Sir (Pag Cheese) is made from sheep that graze the short, salt grasses on the Island of Pag and the variety of wines such as the Plavac and Dingac grown along the Dalmatian coast will both surprise and delight you. A visit to the daily fish market in Rijeka, shows off the Northern coast fish varieties to their best. From well-known shiny sardines, whitebait and prawns to lesser known, but delicious local Scarpina and John Dory with fresh oysters around Pula and Octopus being famous in the South. The Gorski Kotar region in the North is famous for its game dishes often prepared outdoors on an open spit or grill or in a large cooking pot and one of the most famous is the Hunter’s stew with potato dumplings called Gnocchi. A legacy from the Austro-Hungarian period is the amazing cakes you will find all over Croatia from delicate pastries to creamy gateaux. 5. Pleasant People The Croatian people are incredibly friendly and hospitable and their diverse history has created a deep love of their country along with an acceptance of those around them. They enjoy close family traditions and enjoy nothing more than eating and chatting together. There is a great tradition of folk songs and each region has its own unique singing style depicting the past and present stories of sufferings, laughter, and hope and glorifying the exceptional beauty of their country. You will find people love to help and welcome you, whether at your hotel, guest house, cruise boat, restaurants and bars and to share their passion for Croatia with you. I love thse 5 Top Reasons to Visit Croatia and I know Croatia will be a delight to anyone who visits and you will definitely want to go again and again!